Dr. Samuel Hahnemann homeopathic reintroduced to the world of modern medicine in 1790. Homeopathic treatment methods based on the thought 'likes cure likes' which means that substances that cause certain symptoms in healthy individuals used to treat the same symptoms in a sick individual. Homeopathic remedies act as a natural trigger for the body's healing process. Meanwhile, according to the concept of naturopathy, the body's ability to heal itself is far superior to anything else. This is the main reason why the naturopathic plan comprehensive treatment ranging from psychological, physical, and even spiritual. Naturopathy involves modern science, nutrition, exercise, natural medicines, as well as lifestyle changes. The following will describe some of the benefits and shortcomings of Naturopathy. Proverb says 'we are what we eat'. In naturopathy, nutrition plays an important role for strengthening the immune system. 2. The special attention to the food and the patient's lifestyle. Changes in diet and lifestyle of the patient works to prevent recurrence of the problem and to encourage patients to make healthy lifestyle. Natural therapies such as hydrotherapy and mud therapy are used to help the immune system fight disease. In addition, physical manipulation in the form of a massage or a simple exercise with low intensity is also used in naturopathy. Naturopathy uses herbal drug that has minimal side effects. Most of this herbal remedy is an herb from China or India. 1. Naturopathy will show the best results when it is done under the guidance of a trained physician. In fact, this time doctors trained in naturopathic medicine are still very few in number. 2. Some naturopathic doctors have their own belief systems are sometimes not in line with modern science. 3. Naturopathy cannot overcome some infection and disease without the help of other treatments. So, for this case naturopathy can only be used as a complementary treatment. 4. Some naturopathic herbs can cause severe allergies, reacts to other medications, or affect the patient's lifestyle. After a review of naturopathy, find the following advantages and disadvantages of homeopathy. 1. Homeopathic treatment focuses more on the patient than the disease. Therefore, homeopathy can help patients in dealing with various problems. 2. Herbal remedies homeopathic usually diluted in a mixture of water and alcohol, so side effects that may appear to be smaller. 3. Homeopathic remedies strengthen the immune system and works well in addressing the problem or recurrent symptoms. 4. Homeopathy is known to be very effective in treating psychosomatic illnesses such as diabetes, migraines, ulcers, and others. 1. Homeopathy is not effective in treating a disease that must be treated with surgery. In addition, some infections cannot be treated with homeopathy. 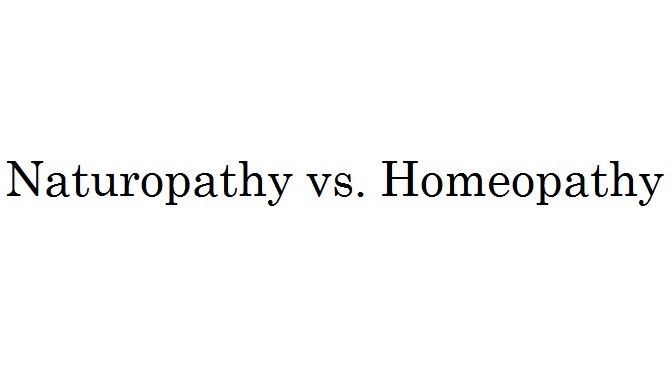 The fact is the major weak point for homeopathy. 2. Currently, trained homeopathy practitioners are still rare accompanied by a lack of training institutions. This condition increases the risk for patients while visiting a homeopath, where the possibility of a prescription or less care according to the patient's condition. 3. In emergency conditions, homeopathy cannot be a stand-alone treatment that can only be used together with conventional medicine.